It bears mentioning that on 13 November 2006, at 6am, in the community of Viejo Velasco, Ocosingo, Chiapas, adjacent to the Montes Azules Biosphere Reserve in the Lacandon Jungle, a group of 40 persons from the New Palestine community accompanied by 300 units from the sectorial police invaded the community and attacked its indigenous Tseltal, Tsotsil, and Ch’ol residents, leaving four dead, four others disappeared, and 20 men, 8 women, and 8 children forcibly displaced, being survivors of the assault. 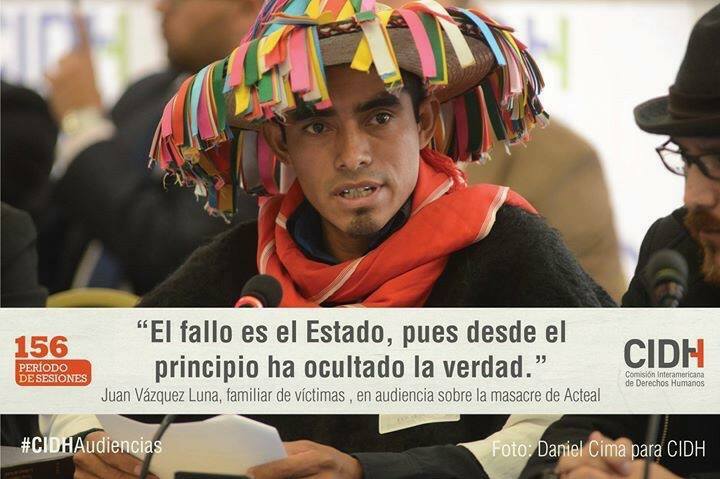 On 20 October, two days before their monthly commemoration of the Acteal massacre, the Las Abejas Civil Society, together with the Fray Bartolomé de Las Casas Center for Human Rights (CDHFBC), participated in a public audience before the Inter-American Commission on Human Rights (IACHR) in Washington, DC, regarding impunity in the case of the Acteal massacre. In this audience, allegations were presented regarding the basis of the case that evidences “the responsibility of the Mexican State in the Acteal massacre and the lack of investigation, sanction, and compensation for the victims.” Las Abejas assured in the voice of Juan Vásquez Luna, Secretary of the Directive Table, that for the Tsotsiles of the Chiapas Highlands, “this massacre was planned by the Mexican State.” Before the IACHR, Las Abejas requested “that a profound report be prepared to investigate the Acteal massacre, declaring the Mexican State responsible for this crime.” For his part, the official representative of the Mexican government rejected all responsibility for the atrocity, using the argument that there is no report or recommendation that claims the State to have been responsible. 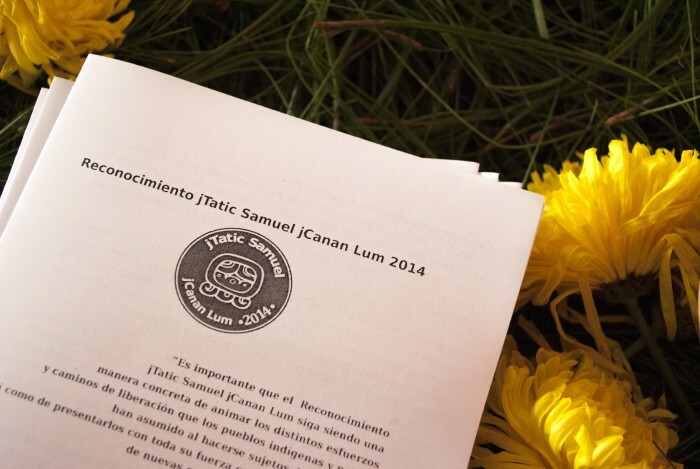 On 23 January, the 2015 public call to propose candidates for the “jTatic Samuel jCanan Lum Award” was launched. The announcement was made by Monseigneur José Raúl Vera López, bishop of Saltillo and the honorary president of the organizing committee. “jTatic Samuel jCanan Lum” is a charge that the Mons. Samuel Ruíz García received in the community of Amatenango del Valle by Ch’ol, Tojolabal, Tseltal, Tsotsil, and Zoque peoples on 14 October 2009. There, he was recognized as the protector of their people, who love and defend him for being someone who cares for life, nature, and the Earth. With reference to the same, the jTatic Samuel Jcanan Lum Award seeks to support individuals or groups and stimulate them by giving voice to their social work. The awarding of the next wave of Recognitions will take place in January 2016 in San Cristóbal de Las Casas, Chiapas, in observance of the Episcopal Anniversary of jTatic Samuel Ruiz García. 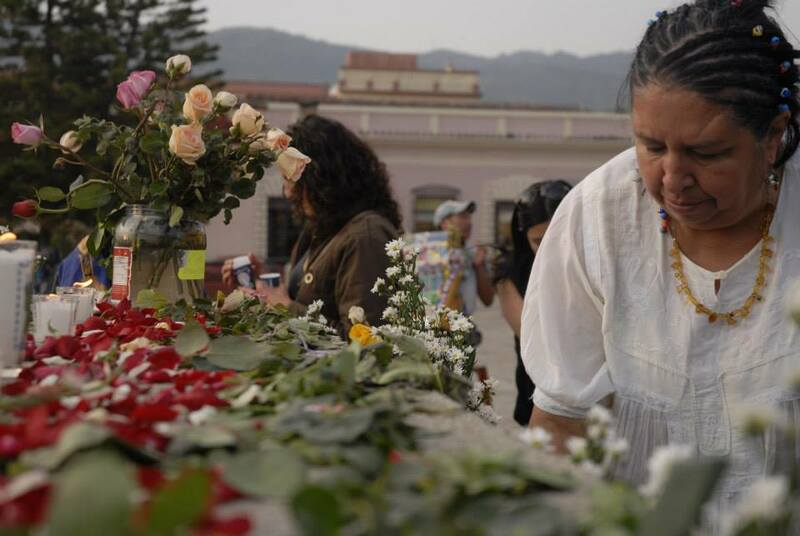 The event, beyond recalling the murder of Itzel, sought to organize civil society to commemorate all murdered women who have been victims of femicide and to revindicate the ongoing struggle for the memory and justice for femicide victims. Itzel Méndez Pérez, a Tsotsil student of 17 years of age, was killed on 14 April 2012 in San Cristóbal de las Casas. Her body was found with signs of sexual abuse and beatings. Due to the increase in the numbers of femicides and the existing impunity in the state of Chiapas, women’s and human-rights organizations from San Cristóbal de las Casas have recently proclaimed a permanent Gender Alert. According to data from the Center for Women’s Rights Chiapas, between January and October of 2013, 84 murders of women were documented, 52 of which should be categorized as femicides, with the remainder still under investigation to determine. 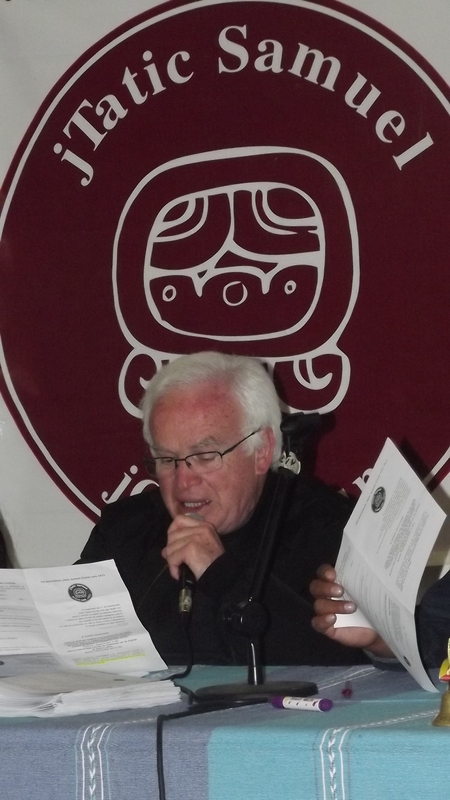 On 21 January 2014, the jTatic Samuel, jCanan Lum Award was given to the Migrants House, the House of the Wandering jTatic Samuel Ruiz García of Pakal-na, based in Palenque, Chiapas; to Fray Tomás Gonzales Castillo, responsible for the “72” Migrant Home in Tenosique, Tabasco; and to the Ecumenical Group of Organic Agriculture belonging to Pablo L. Sidar, from Chicomuselo, Chiapas. The nomination of the jCanan Lum (a term that in Tseltal signifies caretaker of the people and land) is a charge that Samuel Ruiz García, bishop of the San Cristóbal diocese, received in Amatenango del Valle from the Ch’ol, Tojolabal, Tseltal, Tsotsil, and Zoque people in 1999. The award now recognizes work in favor of the people and Earth as taken on by individuals, groups, and peoples. This year, the award committee was led by the bishop of Saltillo, Raúl Vera López, and by Professor Alberto Patishtán, who received this recognition from the bishop himself in 2010, while he was incarcerated.